At More More More! We do the cooking so you don’t have to. Fresh, Easy, Convenient and Delicious form part of our brand values where we deliver fresh food to your door using specialised packaging and speedy couriers keeping your food fresh for up to 48 hours after delivery. With Mother’s Day just around the corner (Sunday 31 March) what better present to gift your Mum with than a day off from her usual household jobs including cooking dinner and encourage her to put her feet up and have us whip up a delicious dish of restaurant quality food with the help of our gift voucher and give the gift that keeps giving. With our gift voucher you can choose the amount of money you would like to spend which can vary from anything between £75 – £300 to be spent on any of our produce, from a three course meal to a selection of sweet desserts – whatever is your Mum’s weakness we guarantee to have something to satisfy the taste buds! Your gift voucher is available for purchase direct from our website then valid for up to six months from the date of your payment; making it the ideal gift to get for a planned evening or to have in her kitchen drawer. 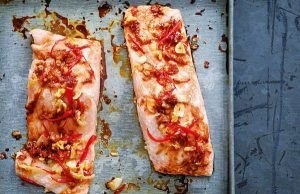 If you are looking for something healthy why not try our Chilli and Ginger Salmon. 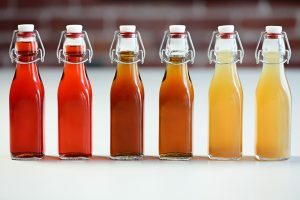 The infused stem ginger and chilli blend gives the traditional dish a tangy twist and for just £8.13 per person, or £32.50 for four portions, it’s an ideal quick fix to pop in the oven for just 8-10 minutes. A vegetarian and gluten free friendly option which will be a sure hit as a meal for one (£6.63) or catering for the family (£26.50 for four portions). Treat your Mum to a fragrant, healthy curry alternative oozing with oriental oomph. 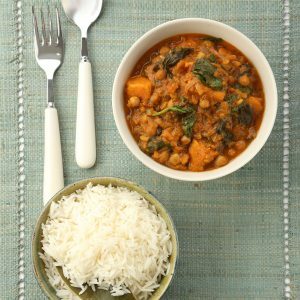 Made simply with just three main ingredients – sweet potatoes, chickpeas and coconut milk infused with our home-made rogan josh paste for the touch of fire, simply simmer for 10-15 minutes before tucking in! 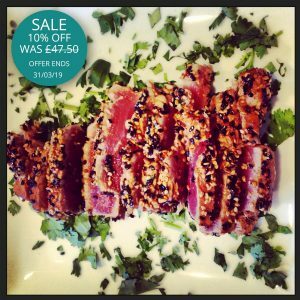 For an Asian-inspired dish that may be too fussy for you to usually cook from scratch at home, why not try our delicious Seared Sesame Tuna with Ponzu Dressing to impress your Mum. Requiring minimal effort simply let the produce rise to room temperature and cook for 10-12 minutes for a medium rare finish and serve with our Chargrilled Broccoli for optimum enjoyment. The lemon-scented soy flavouring will be sure to make this dish stand out from the usual home cooked meal. For £10.69 per person or £42.75 for four portions you can roast it whole or cut into several steaks to stretch it for more than one meal sitting. 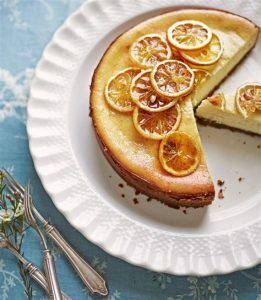 A cheesecake is the perfect dessert offering to have in your fridge or freezer to pull out on special occasions like Mother’s Day for a light zesty sweet treat after your main meal. For just £2.29 per person or £27.50 for 12 portions, glazed with sweet dried lemon slices it is a visually pleasing dessert to complete your spread with minimal effort. With a homemade biscotti base and tangy lemon creamy filling it is ready to eat and enjoy! 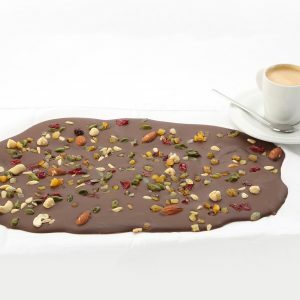 The perfect grazing treat for your Mum this Mother’s Day could be our delicious Nutty Chocolate Slab made with a rich velvety Belgian chocolate, assortment of mixed nuts, dried fruits and tangy dried peel. It’s great to have on the side while pottering around the house, serving over coffee with friends when they come round to visit or simply for her to tuck into while catching up with her favourite TV series. Treat Mum to our Mystical Garden cocktail set which is an infusion of Tanqueray Gin shaken with St Germain elderflower liqueur, Chartreuse and lime perfect served over ice, garnished with a sprig of mint and a slice of cucumber. 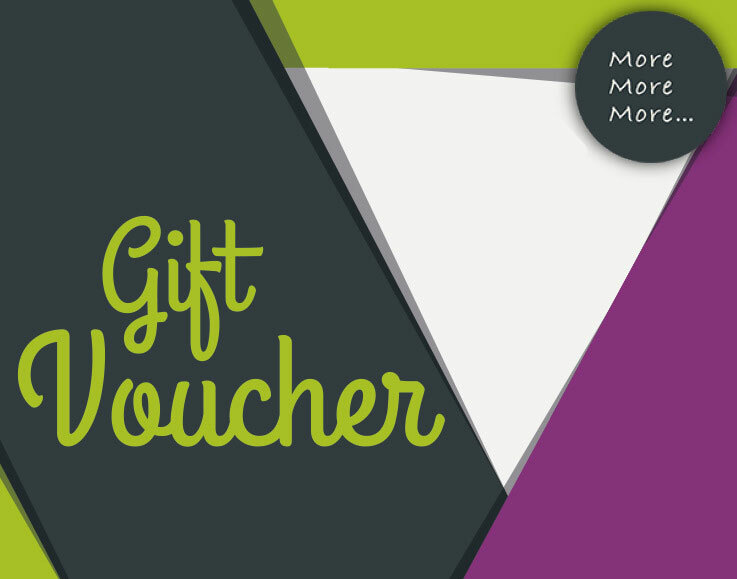 Purchase our gift voucher today! If we have tickled your taste buds with our meal inspiration then simply purchase one of our gift vouchers from us directly at our website today to sort your Mother’s Day present in one quick click.